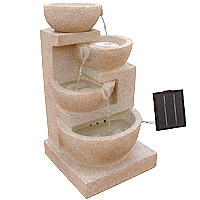 Hozelock Cascade 4000 Pond Pump: Fountain Pond Pumps: Pond Pumps - Buy pond equipment from Pondkeeper: fishing out the best deals on the net. 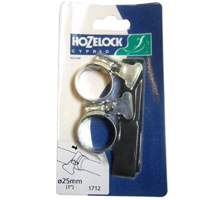 This powerful Hozelock pond pump is now half RRP! 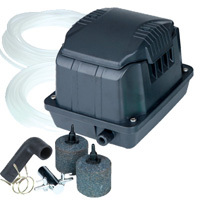 The Hozelock Cascade pond pump is a familiar name to many pond keepers as it has been around for a number of years. 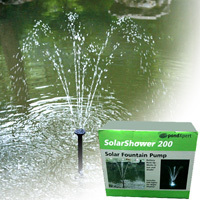 The main reasons for this pump's success are its design and versatility. 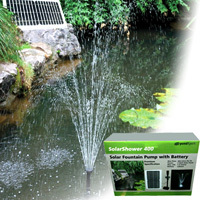 The Cascade 4000 pond pump is the most powerful pump in the range boasting an output of 4,000lph, meaning it can be used to create a large pond fountain (3 displays) or run a waterfall. 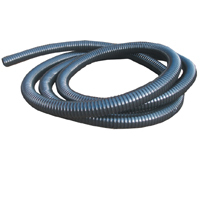 In fact, as this pump has a significant flow rate, the pump can be used to power different applications at the same time. A 'T-piece' connected to the main body of the pump can be dialed up or down to direct flow to a couple of different sources.